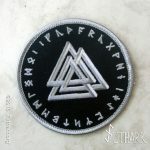 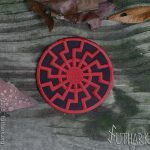 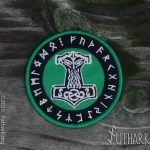 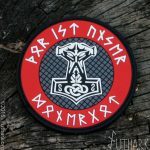 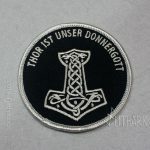 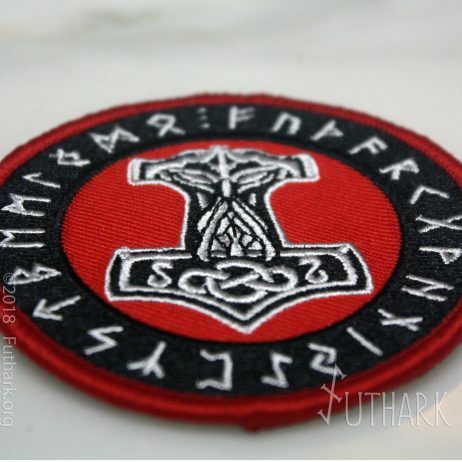 This is a high quality embroidered 3″ Round Patch. 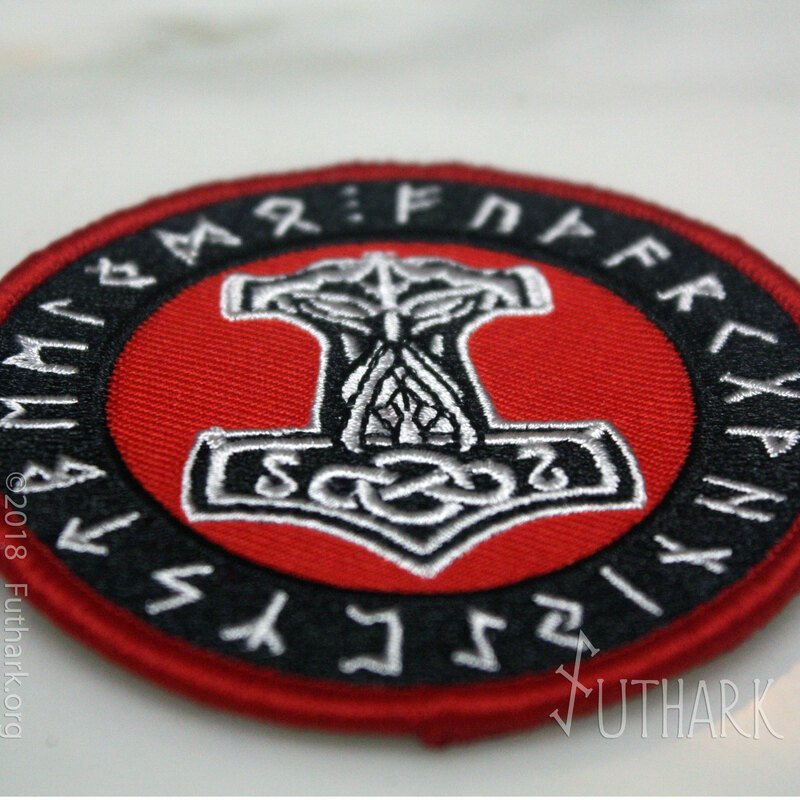 The Background is Red with Raised White and Black thread for the design, and raised Red thread for the border. 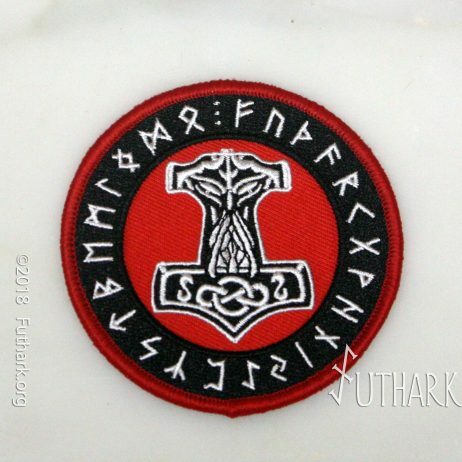 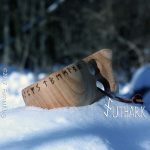 In the center is a well designed Mölnir (Thor’s Hammer), and around the Border/Ring is the runic Elder Futhark.